While our trip to Venice did not include a debonair Johnny Depp, mysterious masked ball, or a high speed Vapretto chase, it was still pretty cool. Brit captures our "just-off-the-train" enthusiasm! 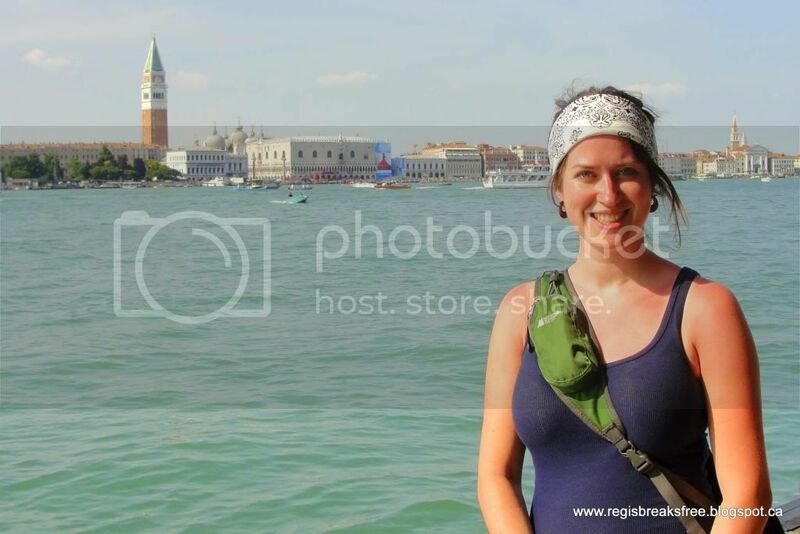 Its been fun to go back over the photos again after two years...I was strongly reminded of my last impression of Venice. My conclusion was that there is not a lot to do in Venice (unless you're really into museums and church cathedrals), but by golly it is worth going to see. Sunburnt and sweaty...I'm ready to see Venny! I am not a photographer by any means. But there was plenty of opportunity here for great photos, and artists seemed to flock to the city to take capture the beauty of the city with all kinds of mediums. 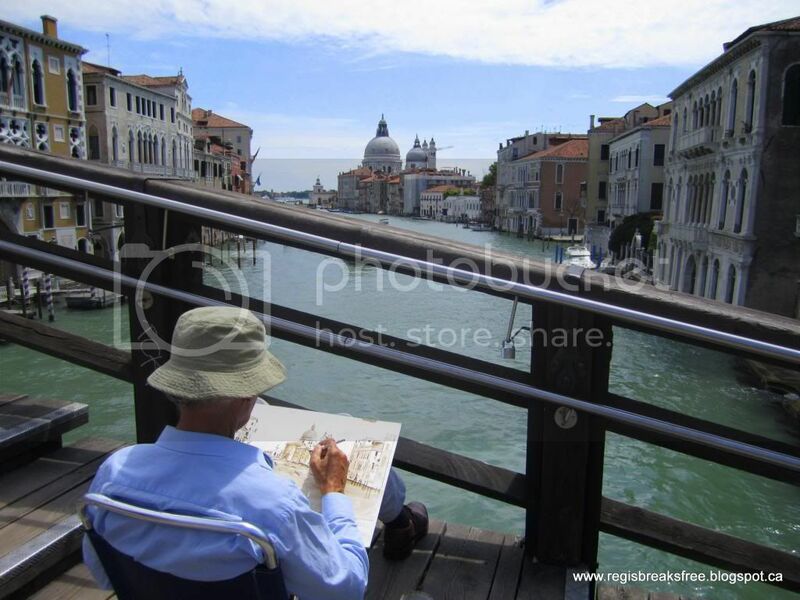 Artist drawing on the Rialto Bridge. There are practically no cars in Venice! Once off the bus, your only modes of transportation are your own two feet, or the ever-confusing vapretto system...the water taxis! 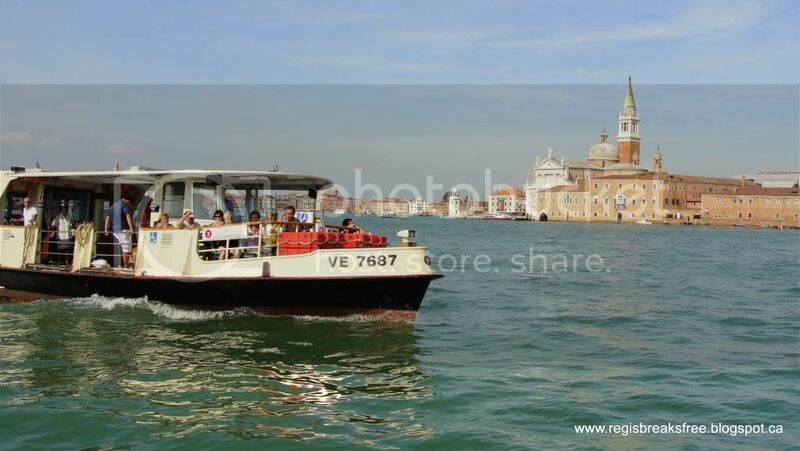 While this seemed novel and exciting at first, it did become the most frustrating part of our visit to Venice. You would think that as a city that is practically inhabited solely by tourists that do not speak Italian, they would have this public transportation thing down to a science. Nope. 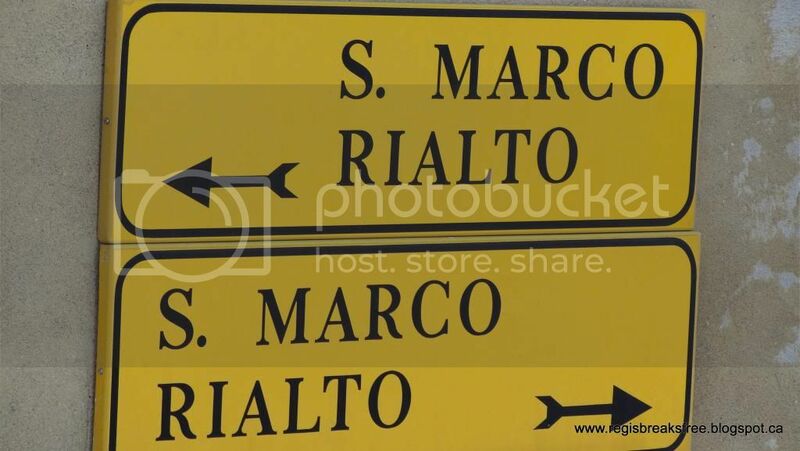 Confusion reigned supreme, and all you could do was hope you were in the right queue and the vapretto would take you where you thought it would. The same goes for signage. 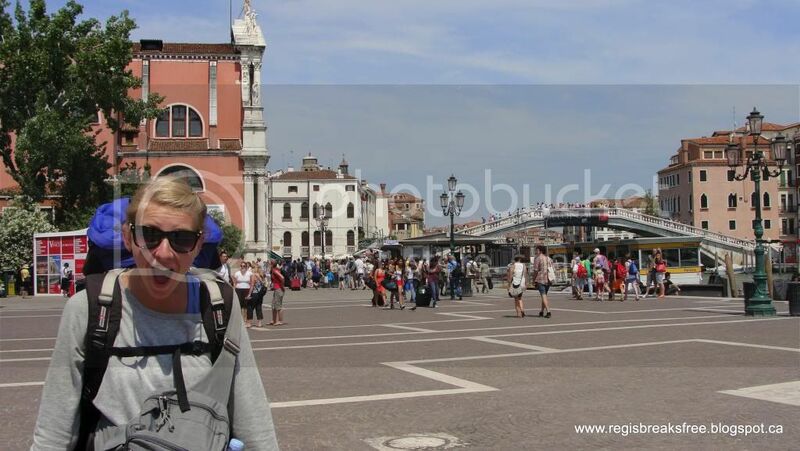 The nice thing about being lost in Venice, is that no matter where you are, its going to be very scenic. And you could be lost for a very long time because what few locals there are will not be your biggest fans, so pull out that camera, wander, and enjoy it. 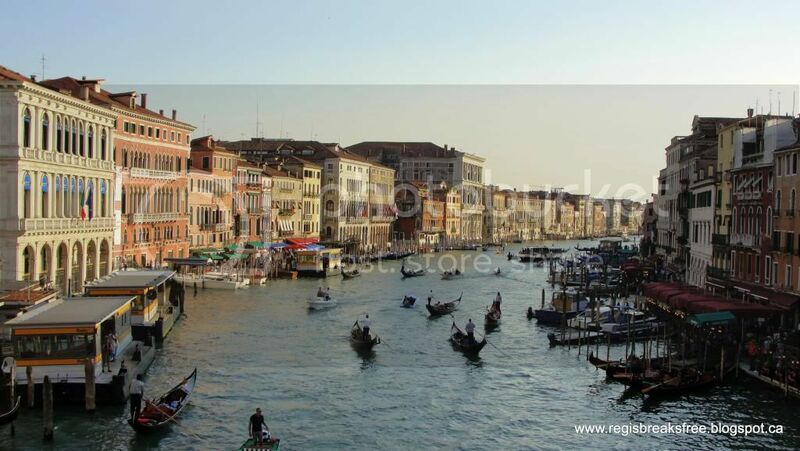 The Grand Canal in the early evening. You will see some very strange things as you wander the streets. 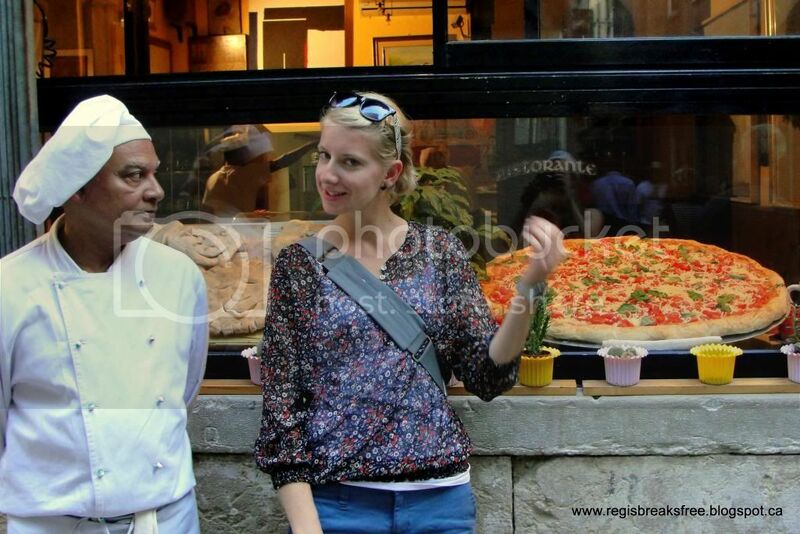 Such as very large pizzas, and chefs who do not believe you should take pictures of it without buying it. 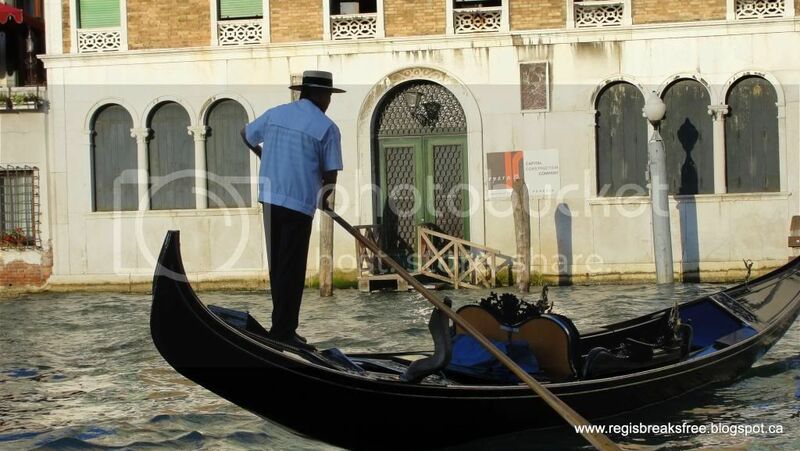 We never rode in a gondola because they were very expensive, but we saw plenty of them around! Some were very basic, other quite lavish with costumed gondoliers who might serenade you as they guide you through the romantic canals. 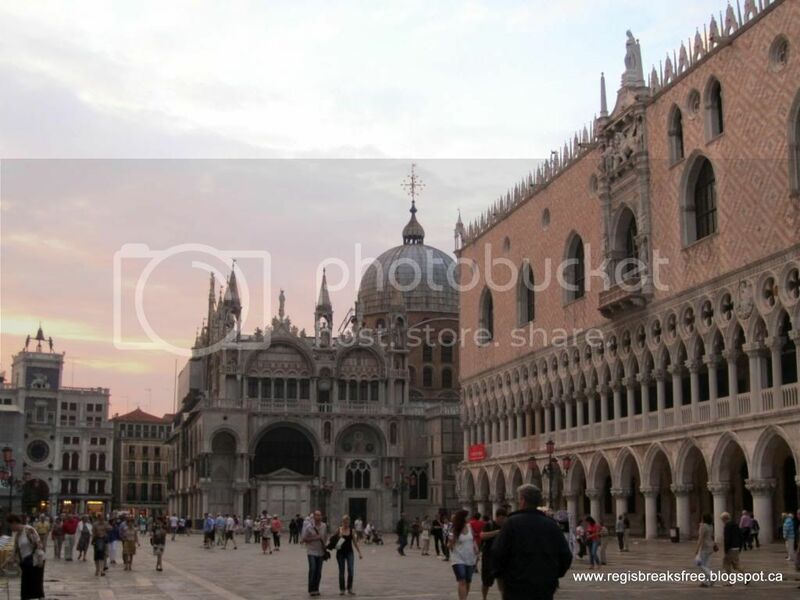 Piazza San Marco was the main hub of tourist activity. We did not pay to go inside any of the large buildings, but fully appreciated their exteriors.